Laser Operator 02/2012 to 03/2015 Gastomp – Mason, Mi Check all parts to make sure they are ready to be shipped out, Grind parts that were bad and clean them, Repack and send to shipping. Shipping & Recieving 08/2006 to 12/2011 Ryder – Lansing, Mi check incoming and outgoing parts, scan parts, making sure there is no damage parts going out. Making sure everything is going out to the proper places. Did odd jobs: Engine work on cars, Remodeling on houses, Yard work. 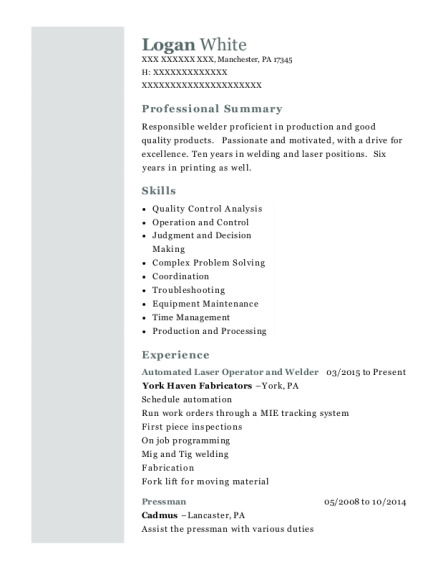 Assistant Manager 02/1998 to 04/2000 Guardian West – Urban, Il Painted parts were ship out on time. Make sure there was no damage parts being shipped. Paint hoses were clean. Having the right equipment. Making sure all employees had what they needed. 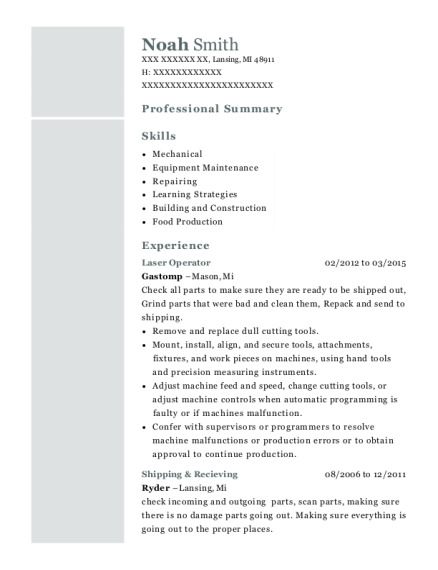 This is a resume for a Laser Operator in Lansing, Michigan with experience working for such companies as Gastomp and Ryder. 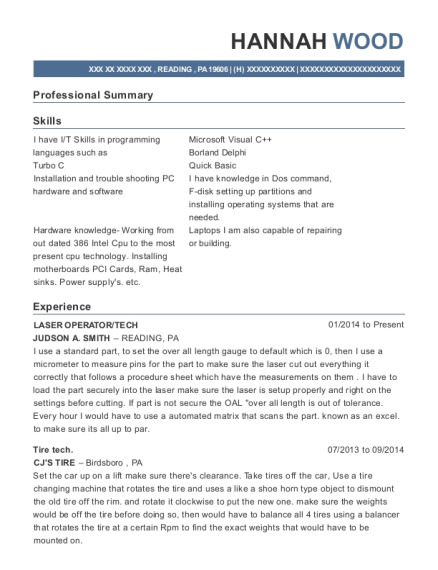 The grade for this resume is 0 and is one of hundreds of Laser Operator resumes available on our site for free. 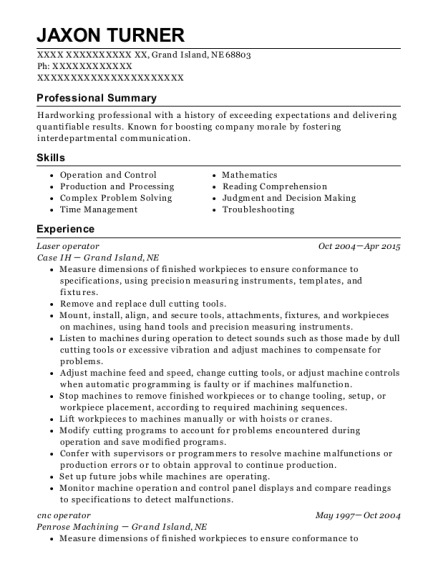 Use these resumes as templates to get help creating the best Laser Operator resume.